Netflix blocks its service on certain Android phones | What Hi-Fi? The company's decision to rely on Google's Widevine technology means, potentially, tens of millions of Android users could have their service blocked. Rooting an Android phone is a way of getting complete control over it - giving you the permissions, within the OS, to do anything to any file anywhere in the system. 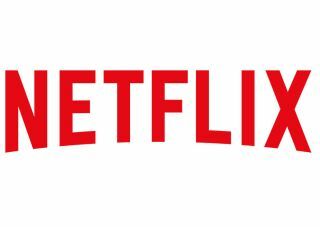 While there are pros and cons to hacking your phone, Netflix has added another downside, as users that have rooted their devices begin to see the Netflix app being shown as "incompatible". Netflix has now confirmed this is intentional, saying the app now fully relies on the Widevine DRM provided by Google and, therefore, any device that is not Google-certified or has been altered will no longer have access to Netflix. Google's Widevine technology is software to manage digital rights, in an attempt to stop audio and video being used and shared without permission. The Netflix listing on the Google Play store says its recent update means that "version 5.0 only works with devices that are certified by Google and meet all Android requirements." However, research suggests more than 25 per cent of Android users root their mobile phones. This could mean (potentially) tens of millions of Android users could be negatively affected by Netflix’s update. While the app is still at a strong 4.4/5 rating, many of the comments a new visitor sees when going to the page are critical of Netflix's decision, calling it a "walled garden" and a "consumer-hostile" move. Whether this will result in fewer subscriptions, or a change in Netflix's decision, remains to be seen.